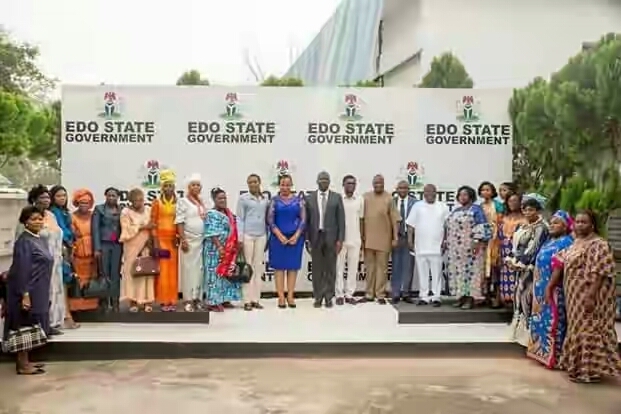 The Governor of Edo State, Mr. Godwin Obaseki, has charged the 19 new female aides to do all within their power to improve the socio-economic conditions of women across the state. 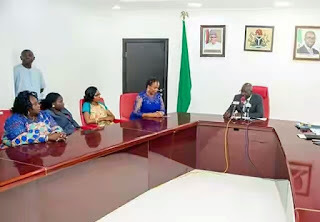 Obaseki gave the charge on Monday during the swearing in ceremony of the Special Adviser and 18 Special Assistants on Gender, at the Government House in Benin City. He urged the appointees not to see their appointments as an opportunity to make some people happy, but a chance to change the circumstances of women, who are about 50 per cent of the state’s population, for the better. Congratulating the appointees, the governor said that any society that seeks rapid progress and development must not ignore or isolate the women. Obaseki explained that there are lots of gender issues in the society that the Ministry of Women Affairs and Social Development alone, cannot handle, hence the need for the appointment of a Special Adviser and 18 Special Assistants on gender, who will be reporting issues affecting women to his office. “I need 19 sets of eyes to help me see and identify what is happening with women across the state. Women are powerful economic units and social mobilisers who can change our society. We should create the avenue to reach out to them, know what they are going through and not only to use them for political gains. We need to support them to do more for themselves,” he advised. He urged the aides to report to his office monthly with the challenges facing women in their various local government areas. Speaking on behalf of appointees, the Special Adviser on Gender, Ms. Efosa Uyigue, expressed their gratitude to the governor for honouring them with the new positions and assured of their readiness to contribute their quota to improving the lives of women in the state.